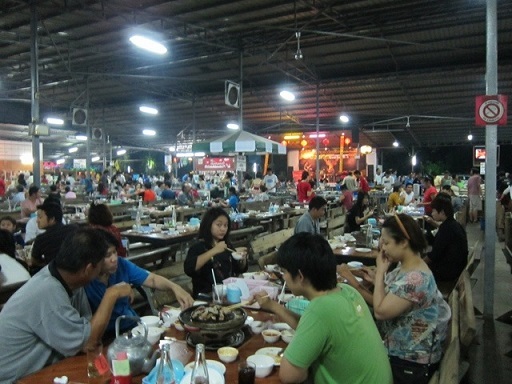 Another popular type of restaurant with visitors and ex-pats in Udon Thani are what are referred to as Barbecue Restaurants. 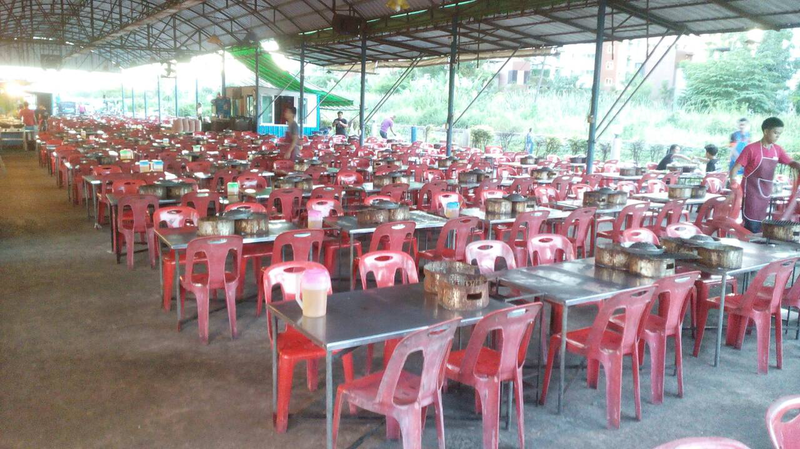 These are typically a large, covered area with a mass of tables and chairs with a central area where all the food is laid out, uncooked, for you to help yourself. 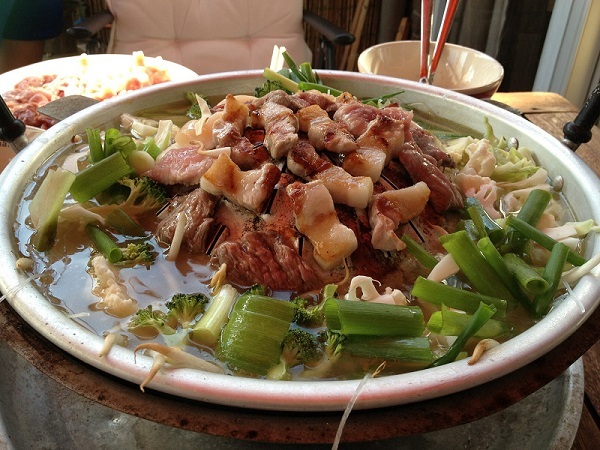 These are great places to dine out, but for Thai restaurants, are quite expensive. 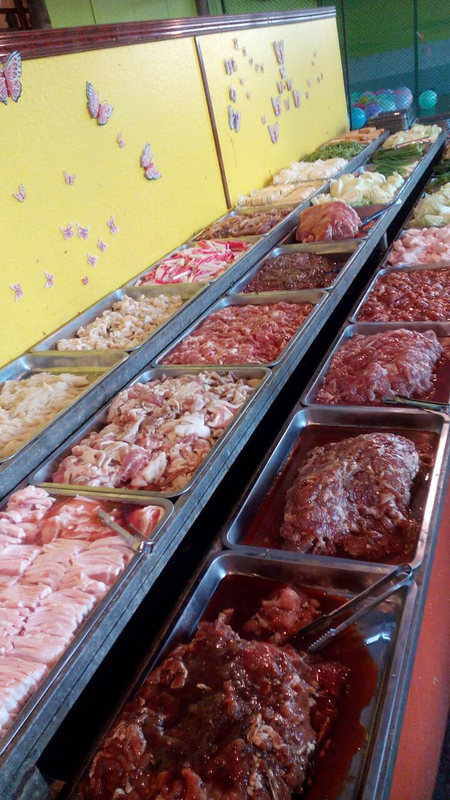 There are two of these 'self-service' Barbecue Restaurants that I visit on a fairly regular basis, and recommend to visitors and ex-pats alike. 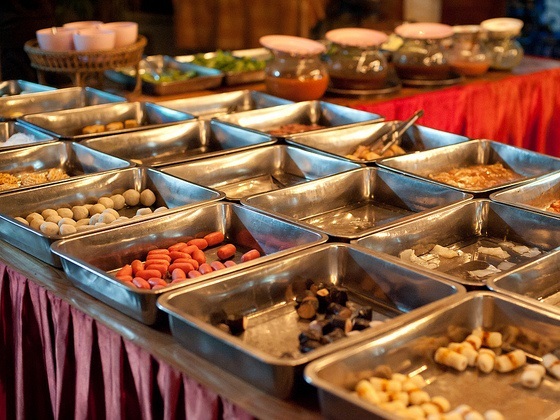 You can probably get away with not being able to talk Thai, simply by arriving on your own and choose your table. They will simply set up the barbecue for you and let you get on with it. At the end of your meal, get the attention of one of the staff and say 'check bin'. They will bring you your final bill, you pay and leave. Where are the Barbecue Restaurants? On the eastern bank of Nong Sim Park. The price structure seems to change a bit too often as they try to find their feet, being a new restaurant. It was originally 199 baht per person, everything except alcohol included, but this has recently changed twice. 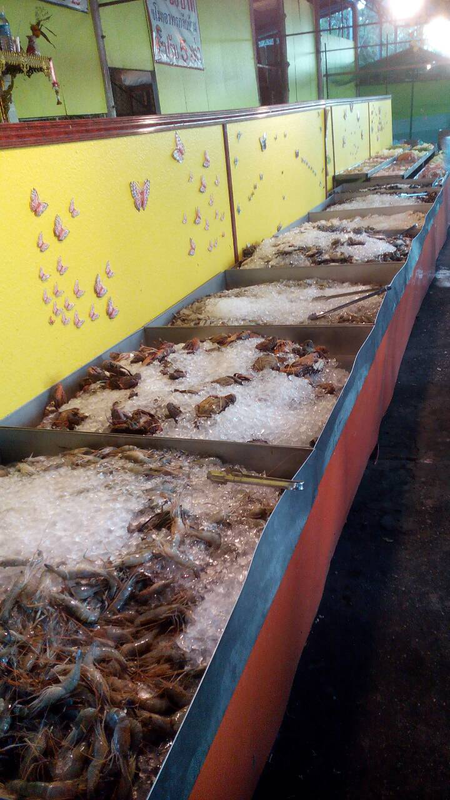 It is 180 baht for the food, 50 baht per 1 litre of soft drinks plus 15 baht per bucket of ice. This would make a typical meal a minimum of 245 baht per person, unless you don't want a soft drink to go with your meal. Just a little north of the Clock Tower Roundabout is quite a large barbecue restaurant, where meals cost 220 baht per person, all inclusive, except for alcoholic beverages. This includes soft drinks, fruit and ice cream. One of my more recent discoveries was a barbecue restaurant that I suspect very few visitors will be aware of, being hidden from view of any road and I think that it is well worthy of a mention and some publicity. Just to the south of UD Town is the Nittayo Road which leads to Makro to the east. On crossing over the railway track, you turn immediately right and drive through a small market. The restaurant is then right in front of you with a car park to the left. The railway lines pass on the right hand side but as there is so little rail traffic here, you may only see just a single train while here. 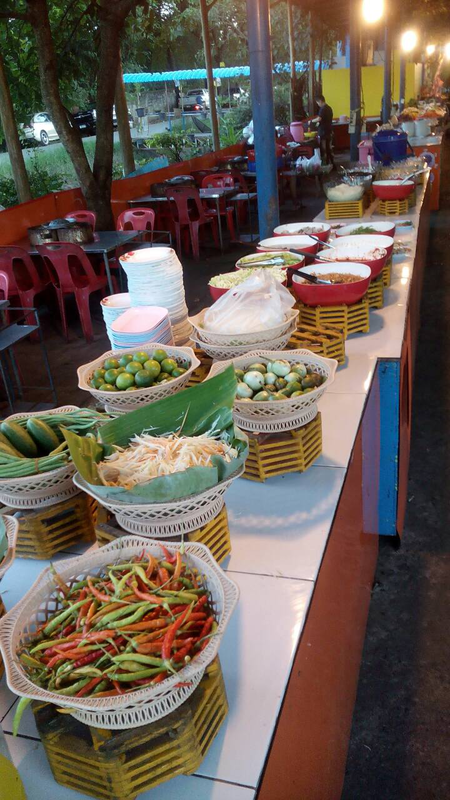 The food is 225 baht (drinks and ice not included) and is of course an "all you can eat" restaurant, and the selection is perhaps the biggest and best I have seen so far, with a few foods that do not appear elsewhere. The display is pretty good too, running the full length of the restaurant on the left, with other smaller tables that have sauces, cutlery etc. I went here on a Friday night at around 5:30pm and it was void of customers but a few people began to arrive shorty after. On leaving perhaps 90 minutes later it was still less than half full which suggests there is likely to be some free tables regardless of what time you arrive - even on a weekend night.